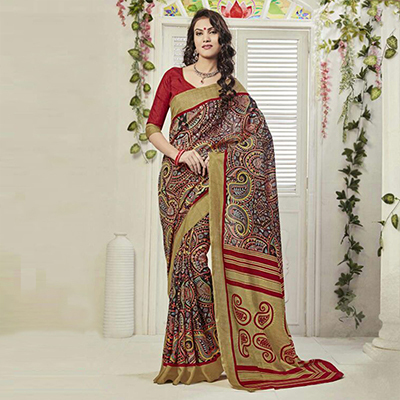 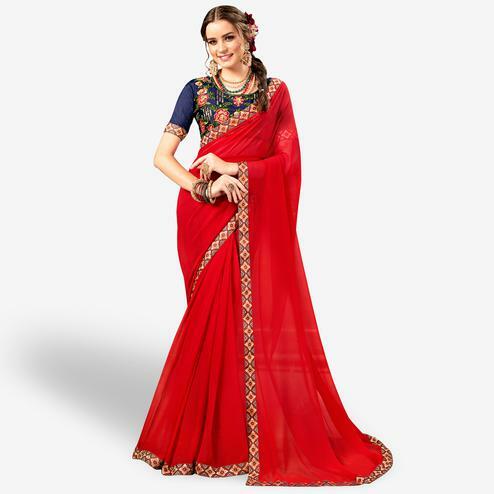 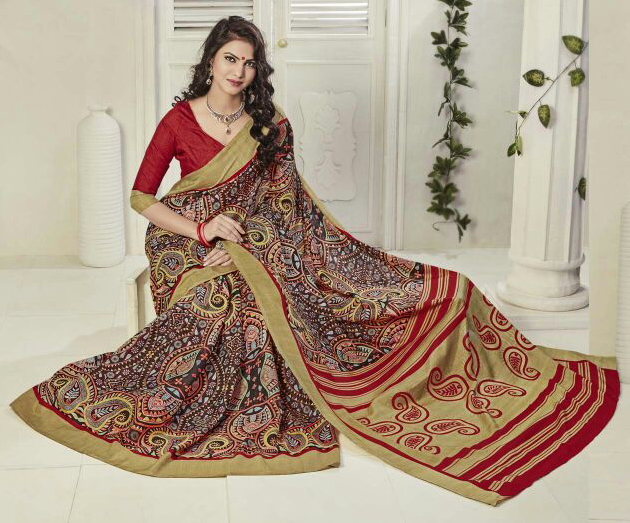 Add a touch of ethnic delight with this red - beige saree enriched with traditional paisley design print work & solid border. 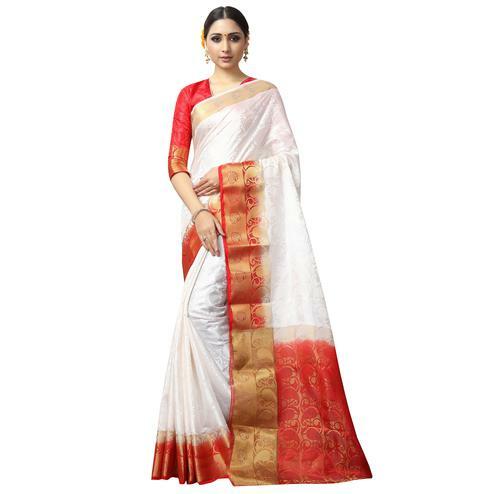 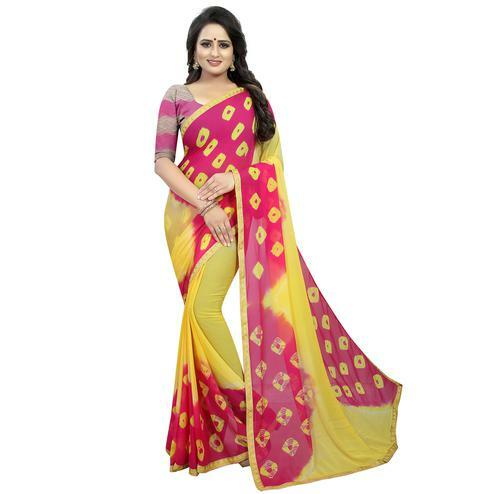 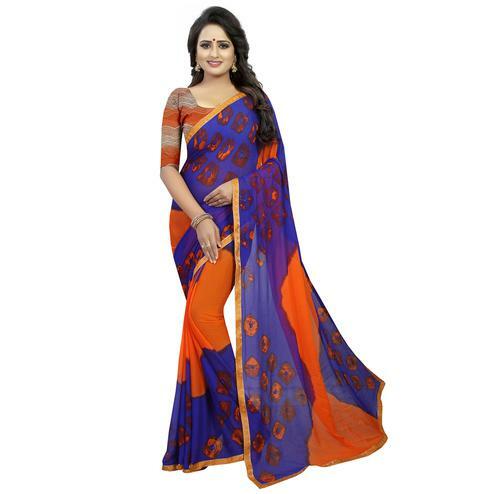 This saree made out of art silk fabric is easy to maintain and care. 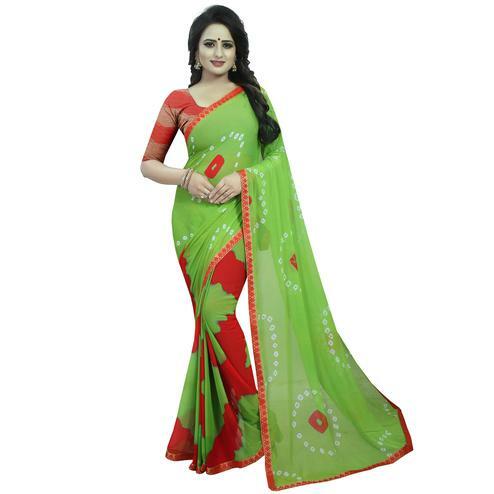 Matching fabric blouse piece comes along with this saree. Ideal for casual & regular wear.